Do Casinos Use Magnets and Rigged Roulette Wheels? Often people ask me if casinos ever use rigged roulette wheels with magnets. The truth is some wheels do have magnets, and some casinos do cheat players. However, it is extremely rare. Generally it doesn’t happen in a government sanctioned casino because if they were caught, they would lose their gambling license and face heavy fines. Of course though, governments in different countries have different ideas on what should be legal. And remember that legal doesn’t necessarily mean moral. Which Casinos Use Magnets in Roulette Wheels? The only casinos I know use magnets are unlicensed by the government. In fact anyone can purchase a roulette wheel with magnets from a supplier in China. 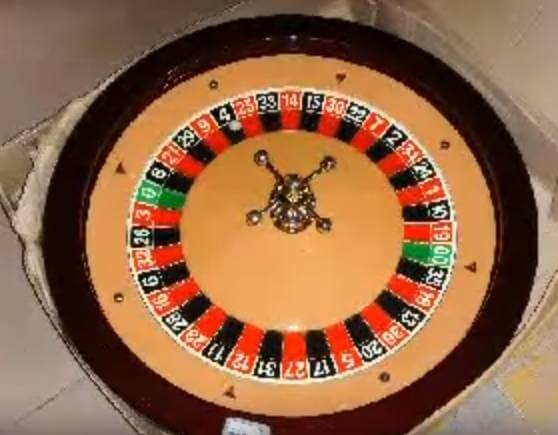 If you play roulette in illegal casinos, I suggest doing research so you know what the wheel looks like. It has a very distinct design you will see nowhere else, and is shown below. At least this is a currently available model I know of, although I have seen images of others sent to me by players. There are many ways it can be done, but but the simplest is for each pocket to have an electromagnetic magnet beneath the pockets surface. The ball itself is magnetised, with the north magnetic pole pointing outwards. 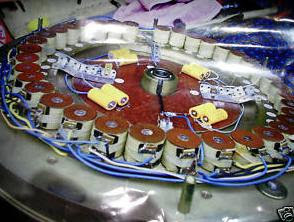 If the casino operators wanted to avoid the ball landing on zero, the electromagnetic beneath the zero pocket is activated with the North Pole magnet. Because the ball has the same magnetic polarity, even if the ball comes close to 0, it will not stop at zero. This allows the casino to avoid highrollers from winning large bets. An example of this kind of cheating wheel is shown in the below image. There is no way to know for sure without physically inspecting the wheel. But again I’ve never heard of it happening in a modern and regulated casino. It simply isn’t worth the risk to the casino, considering they already have a strong advantage over average players. The only incentive for a casino to use a magnetic cheating wheel, known as a gaffed wheel, is to avoid payouts for huge bets. So even if your local casino was applying this cheating technology, you would likely find it in VIP or highroller rooms. I have been sent many videos from players who think particular spins are suspicious. These are cases where the ball does something quite odd. But so far in every case, the ball has not done anything out of the ordinary. I own several different wheels and have tested many variations of balls, and know very well the ball can sometime do some strange things. To know this for yourself, you simply need to see enough spins. Do automatic roulette wheels cheat? The manufacturing of gambling devices such as roulette wheels are subject to strict guidelines. In almost every case, the wheel must produce what is deemed to be random fair results. This basically means that neither the casino or player is able to influence the winning number. However, this doesn’t mean it isn’t possible. It is still quite possible to modify the roulette wheel to make it easier to beat. I’ll explain more about that another time. But to give one example, a player or casino staff member may discreetly loosen one of the pocket separators on the rotor. So when the ball hits is particular pocket separator, the momentum is taken out of the ball, which is then more likely to fall in a neighboring pocket. This creates a bias, and it means certain numbers will win more than others. When it comes to automated wheels, the ball is usually spun by a magnetic device and magnetic ball, or an air compressor. Even in cases when the ball is picked up magnetically, the ball is usually propelled by an air compressor. The air compressor may be activated for a randomised length of time, but then the ball will roll at a natural rate until falling. Many modern automated roulette wheels will then randomise the speed of the rotor, which occurs after no more bets is called at the betting terminal. The purpose of this is to reduce the effectiveness of professional visual ballistics techniques and roulette computer equipment. In some cases, this variation of rotor speed makes no difference because the designers didn’t properly understand roulette computers. Or sometimes the wheel is not correctly set up. But in most cases it at least reduces the edge of professional players. Does this variation of rotor speeds count as cheating? Technically no, because the casino is not influencing or forcing a game outcome. The game outcomes are still randomised in a way that is considered by the government to be fair. 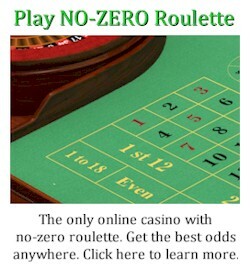 Unfortunately many online casinos cheat at roulette, or at the very least deceive the players. One thing we found recently is that video footage of wheels is not live. Specifically a player found the same wheel spinning at different casinos, with the same game number, but with completely different spin outcomes. This made it very clear that the spins were not live. Interestingly though, it was the same wheel. The only thing that had changed is that the wheel had been recalibrated. This means that certain parts of the wheel were physically higher than others, resulting in a variation of dominant diamonds. Ultimately this is to change the patterns from the wheel. Often the video is changes, and the video feed is disrupted. The player just thinks the video temporarily lost connection. In my view this is cheating, because the players are deliberately misled into believing that they are playing the same unmodified wheel, and with live video. But can anything be done about this legally? Very unlikely, especially considering most of the online casinos are operating from poorly regulated jurisdictions, where just about anything is legal. If you are playing in an illegal casino, anything goes. But even in an illegal casino, the casino staff need the trust of players. For the average wheel with typical table limits, the casino is unlikely to use a roulette wheel with magnets. Although it is much more likely in a high roller room where the bets are much larger. 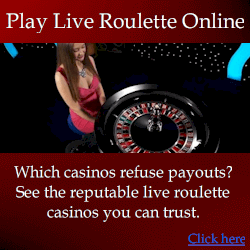 If you ever play at live online roulette, I suggest playing only at one of the casinos I recommend on my website. 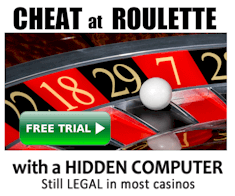 In my experience, approximately half of online casinos are dishonest in some way. Most often the problem is payout refusal with very poor excuses. But sometimes it is manipulation of video as explained. At least in many cases with live roulette, you are able to chat the dealer in real time. So give preference to these kind of casinos. Also if you play at online casinos, remember to check the jurisdiction in which they operate. If they work from the middle of the Pacific Ocean or some obscure location, expect that they can do anything they want to take your money, and there’s nothing you can do about it. It is incredible how many times online casinos have simply stolen money in accounts from players, and given only vague and unjustified reasons. You would think they couldn’t get away with it, but international borders ensures they can. Play only in reputable casinos and you’re much more assured of having at least a chance of profiting.